HAVE YOU EVER WONDERED HOW LIVING AS THE HOBBITS IN TOLKIEN’S STORIES WOULD FEEL LIKE? HERE’S YOUR CHANCE TO FIND OUT! 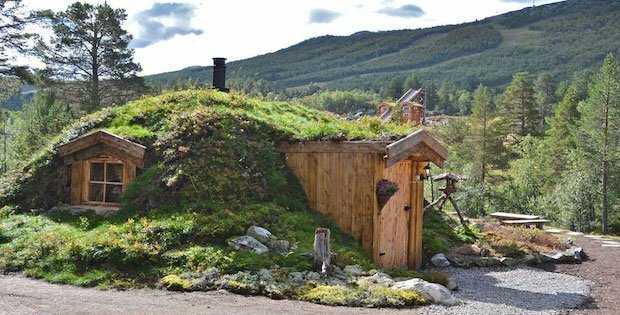 Here’s an opportunity for you to experience the unique beauty in living in a Hobbit home. The exterior of the home features the living roof design. It’s a design involves the use of roofing materials that can maintain a lush garden-like arrangement on top. This creates a home that seems to have sprouted from the ground. 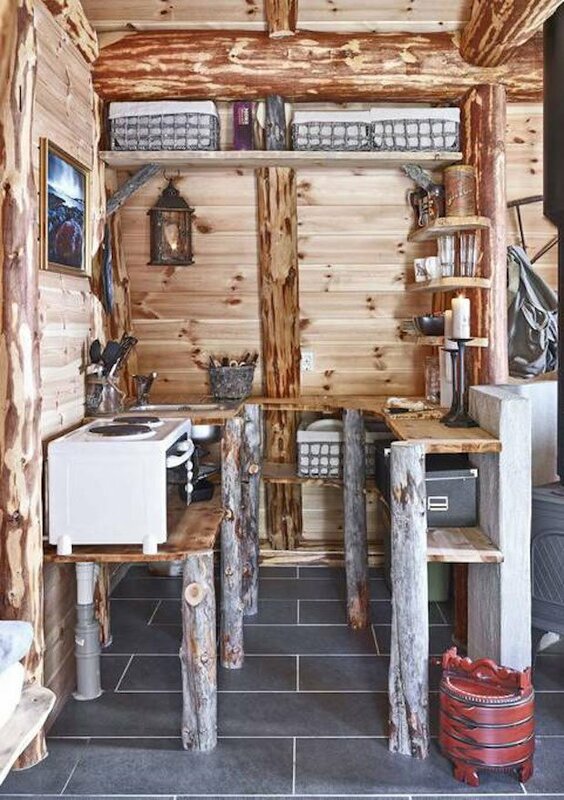 The interior of the tiny home is a cabin reminiscent to homes of the 1800s. Light-colored wooden backdrops and exposed timber frames and beams give off a warm and cozy feel to the home. This paired with a set of soft and comfy furniture will really help you relax and decompress. 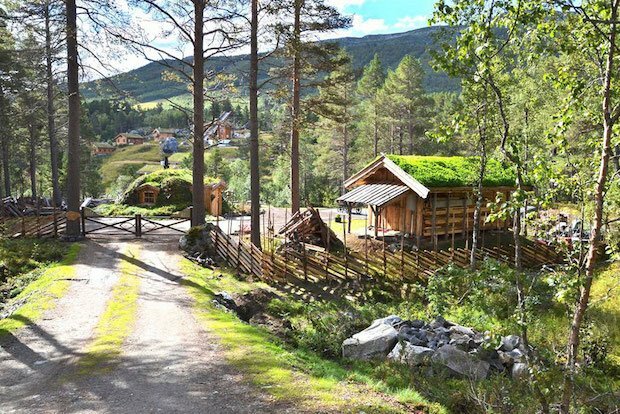 The home is located in Buskerud, Norway and is a place where you can enjoy a variety of outdoor recreational activities. 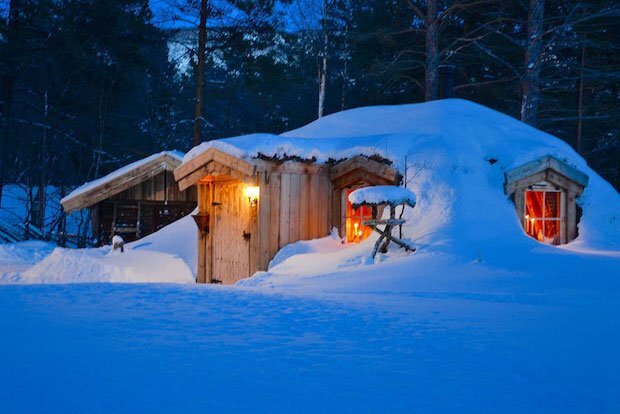 Whether the home is covered in lush grass or in a blanket of fluffy snow, the Hobbit Cabin will never fail to give you a magical experience. The nightly rate here is about $163. A small but functional candlelit kitchen provides necessities for meal preparation with shelving, countertop space, a stove, and a sink. The heated tile floor supplies additional warmth to the cabin when needed.